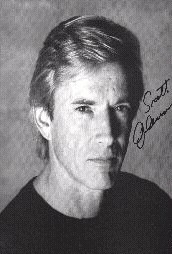 On this page I'll include links to other sites about Scott Glenn. If you notice any broken links, let me know. Also let me know about your own favorite sites (including your own!) At the bottom of the page, look for Scott items for sale or trade that other fans have asked me to post.